Long time no post, have been busy with a few projects. One of which was tidying up the rest of the Mordheim and human figures I have, and a very gaudy project needed finishing off. 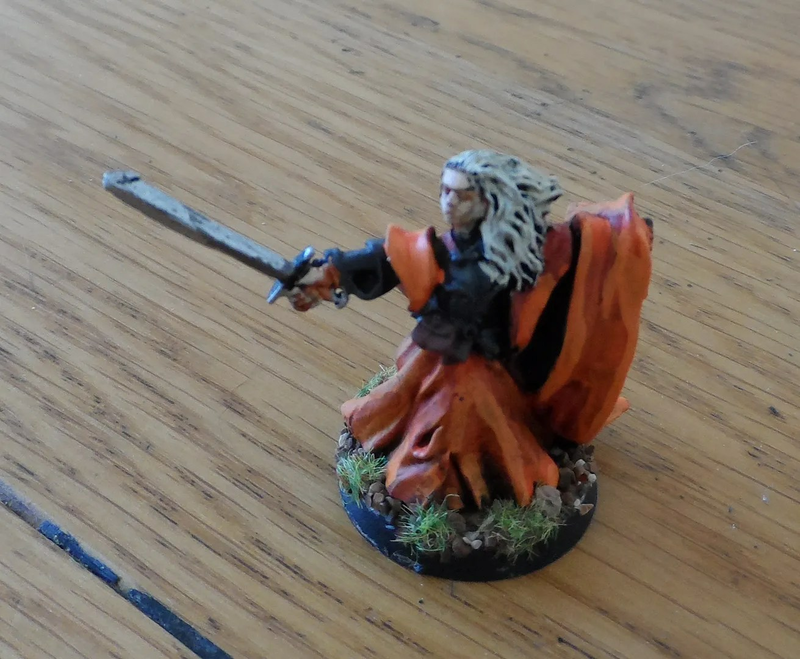 Yes, Lady Kate, who I created for a game of Frostgrave, but wanted to integrate with my Mordheim Marienburgers, who are stylishly decked ou in Orange (marienburg/the Wasteland being based on the Dutch Republic). So the dress colour of Orange and black was sorted, then I hit the wall. What hair colour ? So I was stuck, I didn’t want to do blonde hair, nor red. Black would be boring, as would brunette. Then of course I realised a week or so ago whilst watching BSG, the answer was on the screen…bottle blonde. Tricia Helfer’s hair colour for Number Six would really stand out. 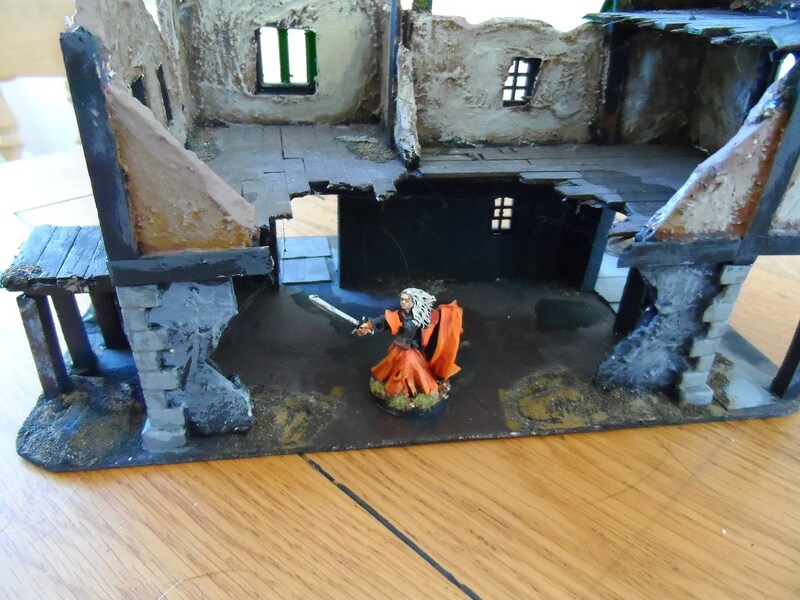 …was because a mentioned previously, the Mordheim/Frostgrave terrain is very very dull, full of greys and tans. So by choosing these colours the figures really stand out, are photogenic, and are totally different to the black based themes of Dark Elves, and the endless khaki of AVBCW and BoB.